As good as the hatchback. Great to drive and very refined. Upmarket and comfortable interior. Usefully large boot. The best looking estate this size. Top 2.0 TDCI PowerShift automatic models are pricey. It may not exactly be very rock and roll, but there is a reason you see so many Ford Focus models on the road. It's simply a great car. The hatchback was keenly anticipated when it was launched in early 2011 but the estate version seemed to go under the radar, somewhat eclipsed by the hatchback. 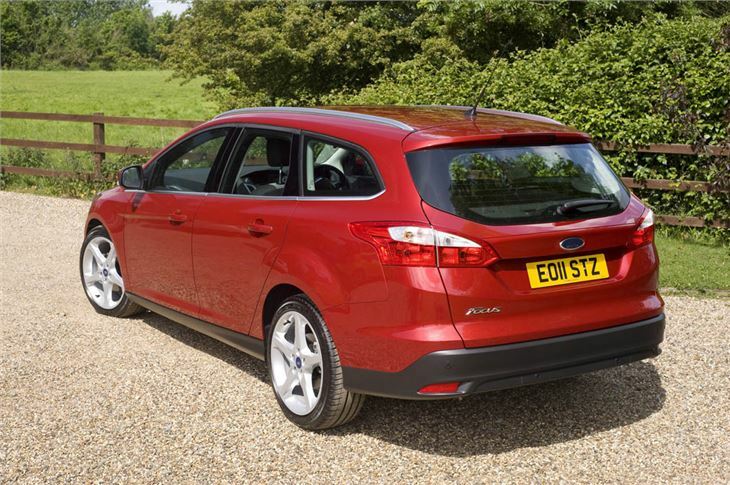 Which is a shame as the Focus Estate is just as good as the hatch version. In fact, it actually has more going for it. It's equally as good to drive, rides just as well and comes with the same choice of impressive engines. There's the strong yet frugal TDCI diesels which the majority of people choose but the petrols shouldn't be overlooked. Ford has a range of new turbocharged smaller petrols called EcoBoost which are great fun to drive yet surprisingly economical for the performance they offer. Of course the big advantage is the extra carrying space with more than 450 litres of boot space and the ability to fold down the rear seats to create a huge load area of more than 1500 litres. 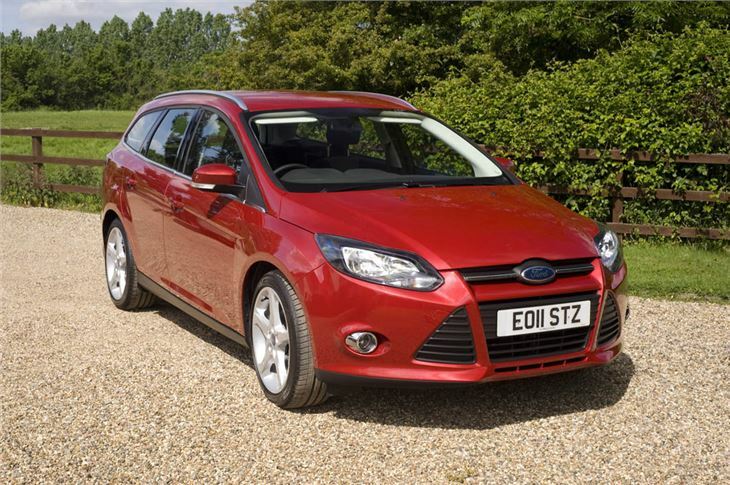 And unlike many estate versions of hatchbacks, the Focus Estate actually looks good. We'd even go as far as saying it's more attractive than the standard Focus. While prices aren't cheap, the Focus Estate is decent value for money. Prices start at £17,100 on-the-road and it comes with more than £1000 of additional standard equipment versus the equivalent outgoing model, including Bluetooth and voice control, a USB connection and torque vectoring - a clever system that makes cornering sharper and improved grip. good looking car, comfortable, but has its problems. Mainly good but spoilt by minor problems. I just want it to work properly!